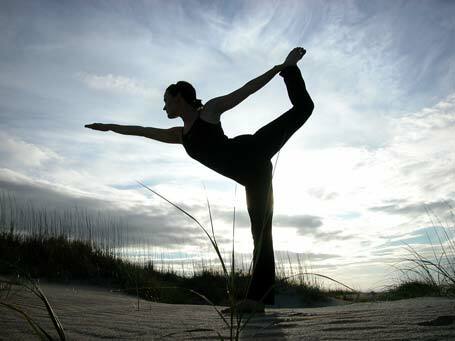 Strength, agility, speed, flexibility and balance – such are the 5 tenets of exercise. Remember way back to grade school when we were all taught how and why we should exercise. Yet, day after day, it is the strength that gets the most press. 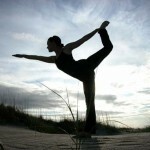 Without balance and flexibility, there is NO mobility; no movement possible; powerless in a power-hungry world. I struggle with the daily practice of Yoga. It’s going on 5 months now, 4 to 7 times per week. My own chakras struggle with my strong sense of science and technology, forcing me to balance some form of ancient wisdom with my generation X sensibility, questioning how two wisdoms can combine, enabling me to open up to a greater perceived awareness, a more fulfilling existence. We BREATHE, slow and steady, calming our minds as we sit still for up to 2 whole moments, concentrating on nothing other than our breath; allowing thoughts to enter our mind’s eye but not to retain focus, discarding thoughts as quickly as they arise, like a never ending commercial banner streaming through our consciousness, valueless, judgement set to the side. Simply banners with no substance. Is the purpose of this type of exercise to actually drive one insane in not allowing any focus to our very own thoughts; a camera on a tripod with the lens opens fully, blurred and hazy? The sole purpose is to see nothing, only a blank screen, to relax, to calm the mind. To prepare to practice. As we move into our warm ups, our sun salutations, touching on each Yoga pose for seconds, warming our bodies, focusing only on our bodies, still allowing no thoughts into the big screen, we become even more engaged through nothingness. Stretch. Each tiny, unaware muscle rips a little, forcing a flinch, calming a breath, gently tearing the fascia around each bone. The very muscle fibers that we have fought to contract, to gain mass and strength, has only gripped tighter with each passing year, like planktain on a boat bottom, needing some gentle scraping to set the boat afloat once more. It is a difficult process for a scientific mind to endure. Yoga mystics haven’t been backed by multi-billion dollar drug companies claiming that actual healing can take place outside of pills and capsules. Empirically speaking, my chiropractor visits have diminished, the Tylenol bottles remain filled in the cabinets, and my sleepless nights have all but ended. Has Yoga changed my life? Absolutely. Watching the hundreds of people pump iron and run, walk and step in unison on the treadmills and ellipticals, I have to wonder if they know the power of Balance and Flexibility, just like we all learned in years gone by. Without elongation and balance, the constricting forces of strength will age us prematurely, detracting from our overall health and ultimately decreasing mobility. Next time that you go to curl your 50 pound barbell, remember the counter pose, and breathe and stretch!! With every inhalation comes a little deeper clarity into the calmness that is sanity. No judgements. No reprisals. Just growth, measured by much more than muscle mass. Breathe on. This entry was posted in Sports, Uncategorized and tagged Exercise, Flexibility, Yoga. Bookmark the permalink.